Spring will have sprung before you know it and Cape May events make it an excellent spot to spend spring days. From birding to wineries, Easter strolls to Farmers Markets, Cape May has something to offer everyone this year. 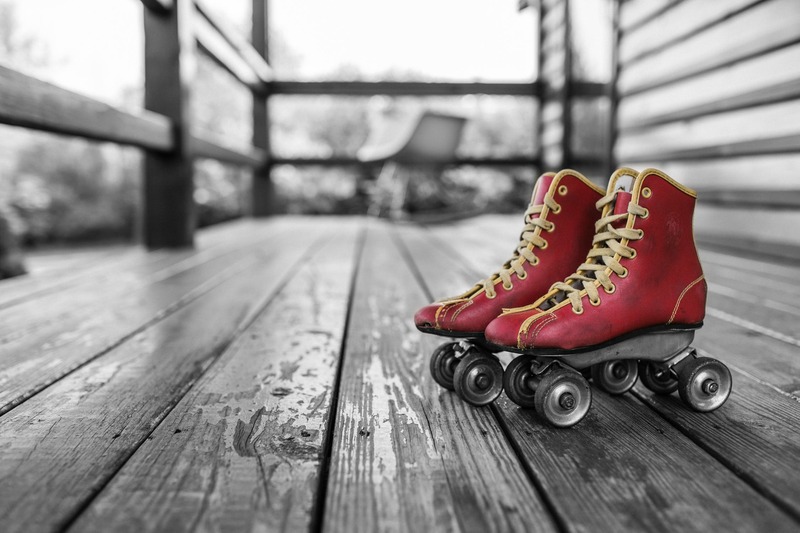 Roller Skating at Convention Hall – Fun for the whole family! Roller Skating happens at the Convention Hall every Friday, Saturday and Sunday in March. It’s a great way to get the kids moving and have your own nostalgic memories resurface as you head around the rink. Winter Beer Garden at Congress Hall – Relax by the fire pit with your loved one or friends! Hosted at Congress Hall on Fridays, Saturdays and Sundays through the end of March, it’s a great Cape May event to kick back and hang. 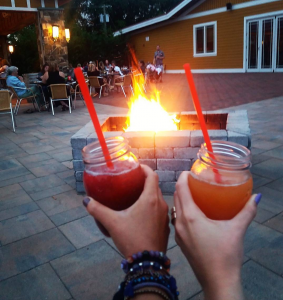 Fire Pit Fridays at Willow Creek Winery – Plan an evening of locally made wine and tapas at Willow Creek Winery. Featured in our blog about Cape May wineries, Willow Creek is a short distance from Antoinette’s and offers a unique setting to enjoy Jersey Fresh at its best. 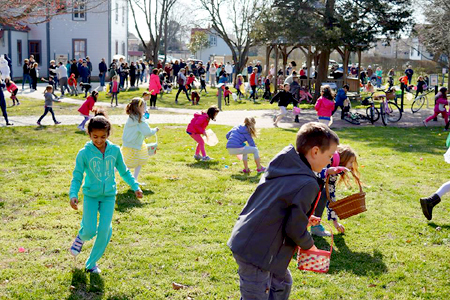 Annual Kiwanis Easter Egg Hunt – Held annually, the Kiwanis Club hosts their Easter Egg Hunt at Cape May Elementary. A wonderful memory to make for the family! Chocolate Lovers Feast at the Blue Rose Inn – Did we say Chocolate Feast? Seven plated dessert courses await you! Book your tickets through the Cape May MAC website here. Lighthouse Full Moon Climb – Looking for a unique way to explore the Cape May Lighthouse? Then, this is the Cape May event for you! Tickets can be purchased the night of at the lighthouse. April 1 – Easter Sunrise Service at The Cove on Beach – A beautiful way to herald in Easter, the service on the beach takes place at 6:30 am. April 1 – Easter Fashion Stroll at Rotary Park – A true Cape May tradition! This year the stroll will take place at Rotary Park, 400 Lafayette Street on Sunday, April 1 at 1 p.m. Registration begins at noon. Best of luck to all participants! 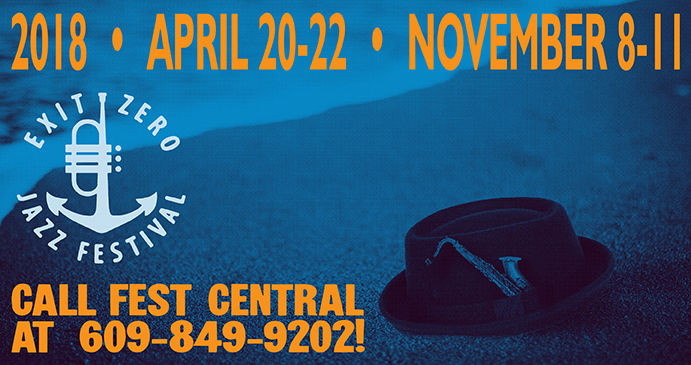 2018 Cape May Film Festival – April 6-8 will be this year’s dates for the Cape May Film Festival. This weekend offers an opportunity to see area filmmakers’ work and speak with them in person. Exit Zero Jazz Festival – The spring edition of the Jazz Festival is a must for music fans. Book a stay with us and enjoy the whole weekend from April 20-22. 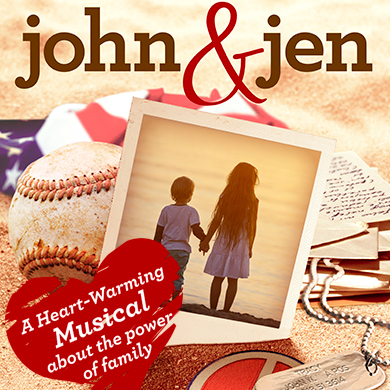 Cape May Stage – John & Jen – Theater lovers will enjoy this musical collaboration between the Cape May Stage and The Eagle Theatre. It’s a great way to spend the weekend. Book a stay with us, make your dinner reservations, buy your tickets and voila! Brunch, Bingo and Lace at Inn of Cape May – Cape May’s Lace Silhouettes and the Cotton Company will be part of this great fashion event for the ladies. Call your friends and make it a girls’ weekend away to enjoy this event on Sunday, April 29th. All of these Cape May events are a great way to celebrate the spring season. Just book those tickets, meal reservations and a stay with us to enjoy! This entry was posted in Events, Family, General and tagged easter, family, spring events, theater, wine by Deanna Brown. Bookmark the permalink.